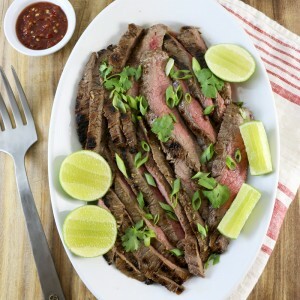 This recipe is a variation of a chimichurri sauce recipe I published a little over a year ago. 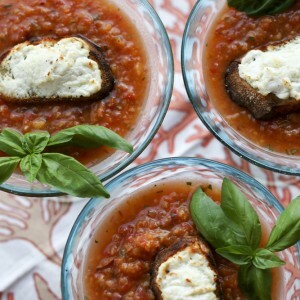 It is so easy and good I had to republish it with a few tweaks. 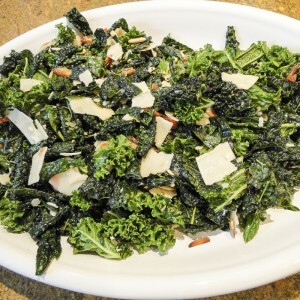 I have updated the photographs and tweaked the recipe a bit. If chimichurri sauce is not in your current repertoire of sauces, I strongly encourage you to give chimichurri a try. It is fast, delicious, very healthy and it literally makes everything better. We use it on steak, chicken, pork, fish, sausages, potatoes and eggs. I make a big batch and use it all week. It makes everything delicious. Chimichurri is a fresh uncooked herb and oil sauce very similar to pesto. Traditional chimichurri is made with garlic, parsley, oregano, olive oil, fresh or dried chili pepper, red or white vinegar, salt and pepper. Like pesto, there are many variations of chimichurri sauce. You can use a variety of ingredients, including: onion, shallots, cilantro, basil, lemon juice, cumin, coriander, Spanish paprika, bay leaf, tomato and bell pepper. I always use parsley, oregano and olive oil and either lemon juice or vinegar. After that it depends on what is in my fridge. Chimichurri can be hand chopped, ground in a mortar and pestle or whipped up in a few seconds in a food processor. While I appreciate a hand-chopped or ground chimichurri, I use the food processor. Call me lazy, but I love how a food processor does the heavy lifting. 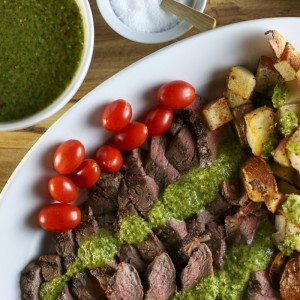 For this recipe I serve the chimichurri with steak and potatoes. My husband throws the steaks on the grill and I roast the potatoes in a hot oven. While the potatoes are roasting I make the chimichurri. In just a little more than 30 minutes you have a fabulous meal and extra sauce to use for the rest of the week. Chimichurri, pesto's Argentinean cousin, adds flavor and nutrition to everything it touches. 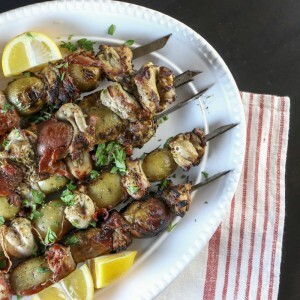 Here I serve it with grilled steak and roasted potatoes, but chimichurri pairs well with chicken, fish, sausage, vegetables and eggs. Heat oven to 400 degrees. Spread potatoes out on 2 baking sheets and toss with 2 T olive oil. Season with 1 t kosher salt, pepper and Spanish paprika. Roast for 15 minutes, remove from oven and turn potatoes, return to oven and roast another 15 minutes, or until potatoes are golden brown. Heat grill to medium high. Rub steaks with olive oil and season with salt and pepper. Grill to internal temperature is 130 degrees. Remove from grill and let rest for 10 minutes before slicing. Put garlic in a food processor and whirl until minced. Add shallots and pulse until finely chopped. Add herbs, pepper flakes, 1 t salt, pepper and lemon juice and pulse until finely chopped. Stream in 1 cup olive oil through the feeder tube while pulsing to incorporate. 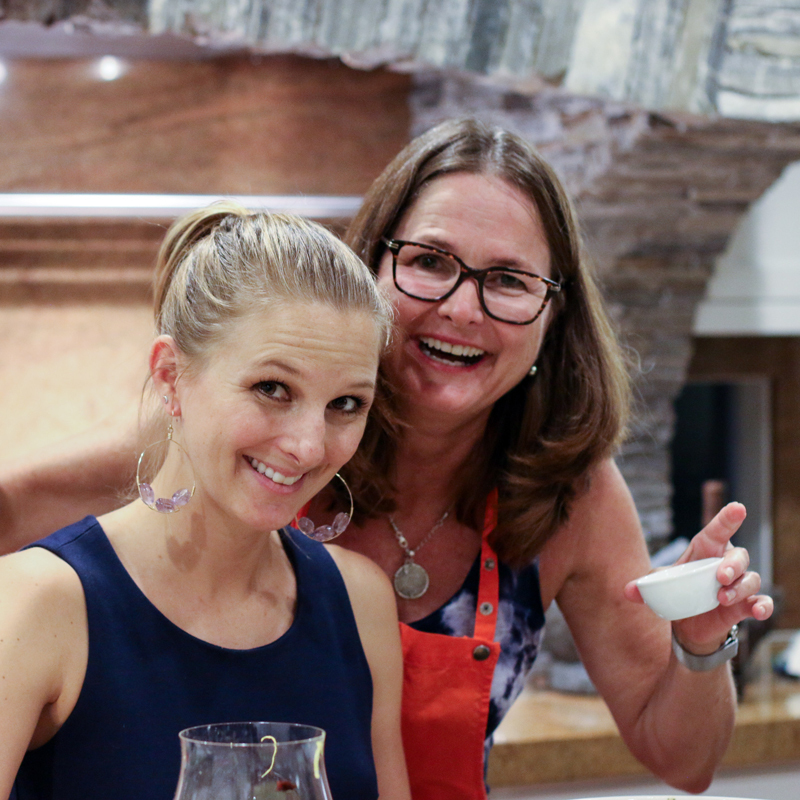 Taste and adjust ingredients. Set aside. 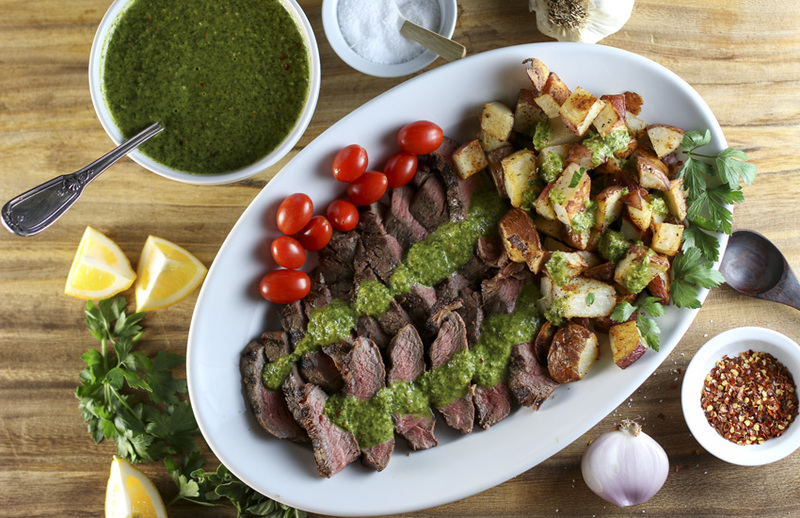 Arrange sliced steak and roasted potatoes on a platter and serve with chimichurri sauce.